A natural blend of the finest ingredients perfect for conditioning, softening & strengthening the hair and scalp from root to tip. Our shampoo & conditioner is free of any synthetic chemicals, fragrances, parabens and any harsh cleansing agents. A natural blend of the finest ingredients perfect for conditioning, softening & strengthening the hair and scalp from root to tip. Our shampoo & conditioner is free of any synthetic chemicals, fragrances, parabens and any harsh cleansing agents. We use natural plant surfactants that provide a slight and gentle soapy effect, and our ginseng also adds to this as it has natural cleansing capabilities. Jojoba ester has similar properties of the sebum produced naturally by sebaceous glands, which helps to keep the scalp moisturized to reduces the over production of oil glands. Ginseng contains powerful anti-oxidants such as vitamins A, C, & E which strengthens and revitalizes hair follicles. The added essential oils of lavender, rosemary, and peppermint provides anti-inflammatory, anti-bacterial properties to protect the scalp from infection as well as a cooling effect for those experiencing dry itchy scalps. 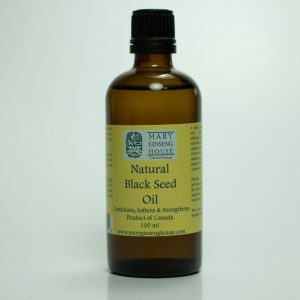 Helps remove loose dandruff, and promotes regeneration & strengthening for thick and healthy hair while reducing hair loss. Purified distilled water, ginseng hydrosol, natural plant surfactant, jojoba ester, aloe vera, ginseng essential oil, essential oils of peppermint, lavender, and rosemary. Wet hair thoroughly, apply shampoo into palm of hands and massage into scalp from root to tip then rinse and repeat if necessary. 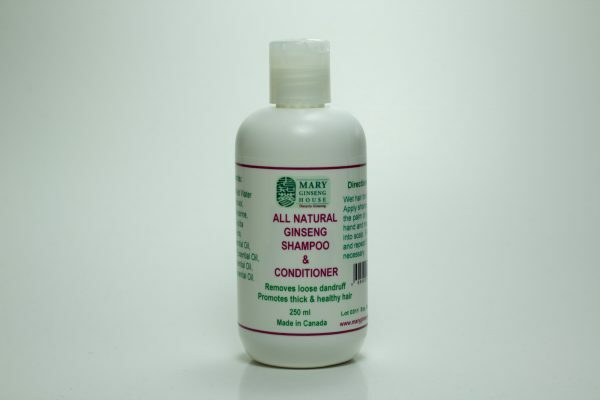 For best results combine with treatments of Mary Ginseng House’s Hair Oils. For external use only.